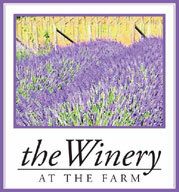 We are a small vineyard and lavender farm near Eatonville, Washington in Pierce County. We grow both red and white wine grapes and eleven varieties of lavender, including both English and hybrid. You are welcome to stroll the vineyards and/or lavender field, view Mt. 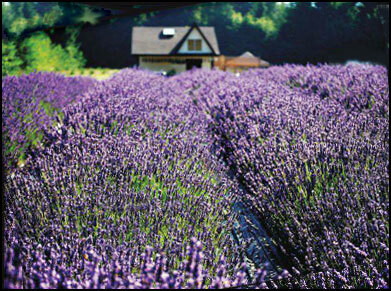 Rainier, use our picnic tables, and experience beautiful lavender without the long drive to Sequim! Mount Rainier. The farm is on the way to Mt. Rainier, about 30 minutes from the National Park's Paradise Gate (State Hiway 7 to 706). Northwest Trek. About 4 miles north from us (on State Hiway 161) is Northwest Trek, with its tram ride to view the animals and a new play area for children. There is also a zip line! Fishing. Nearby are several lakes with great fishing and water activities: Ohop Lake, Tanwax Lake, Clear Lake, Silver Lake, among others. Picnic. You are welcome to use our picnic tables, so bring a picnic to the farm and relax and enjoy your farm visit! Please Send Me E-Mails With Lavender Farm & Winery Updates! Hours: The winery tasting room and gift shop at the arm is open Friday, Saturday, and Sunday from 10 AM to 5 PM. Lavender U-Cut Information: U-Cut Lavender season is closed! Thanks for a great season! Products: The Gift Shop at the farm has lavender-scented hand and bath soap (using hemp seed oil), lavender essential oil, lavender hand cream, lavender-scented spritzers, lavender-scented soy candles, lavender-infused honey, lavender fudge (white and dark chocolate), dried lavender, lavender sachets, lavender wraps, and more. 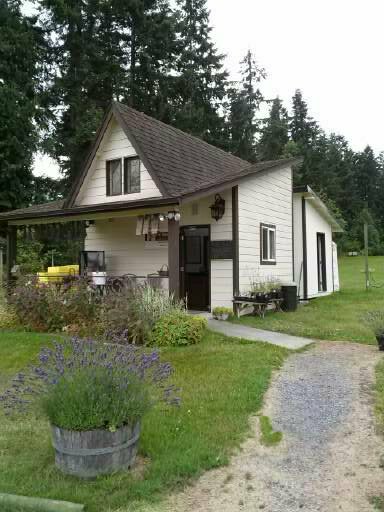 Directions: The farm is located on the Eatonville Cutoff Road (39610 Eatonville Cutoff Road) in Pierce County -- an easy drive from Tacoma, Spanaway, Puyallup, Sumner, Graham, Olympia and Yelm.